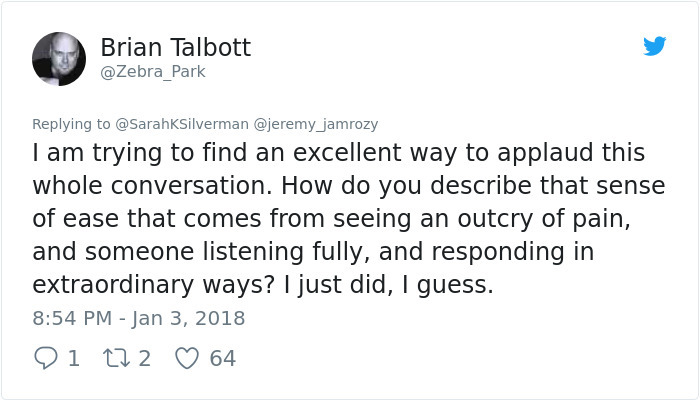 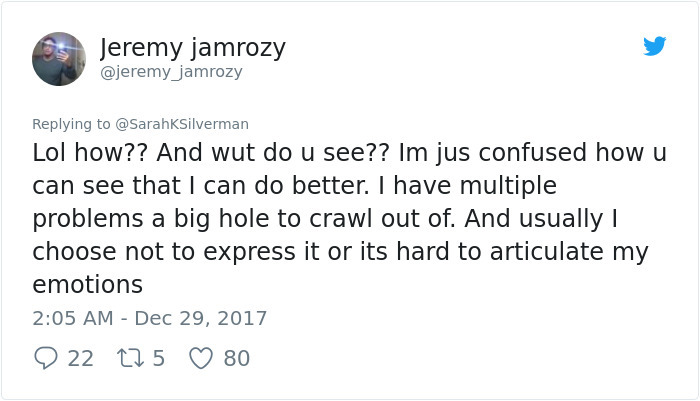 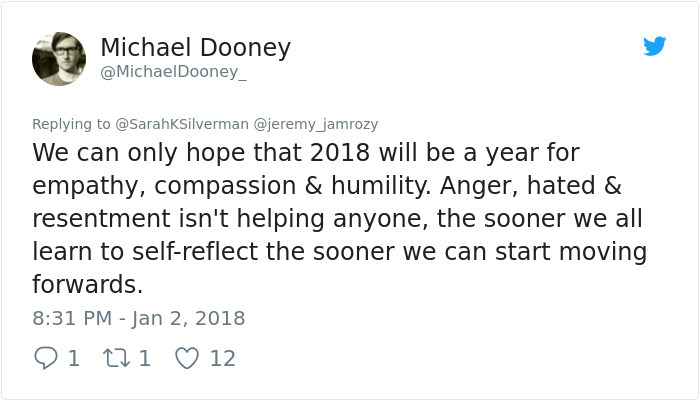 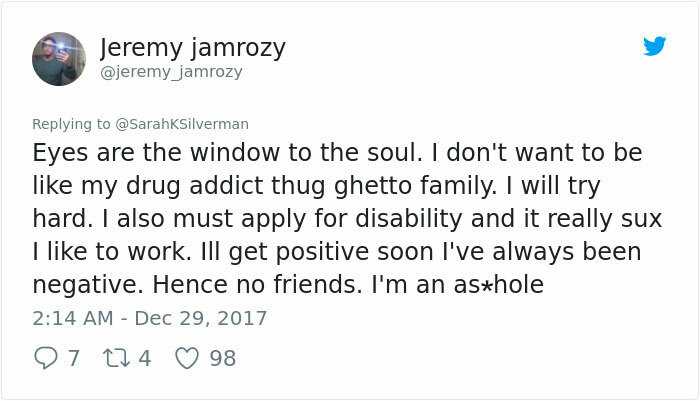 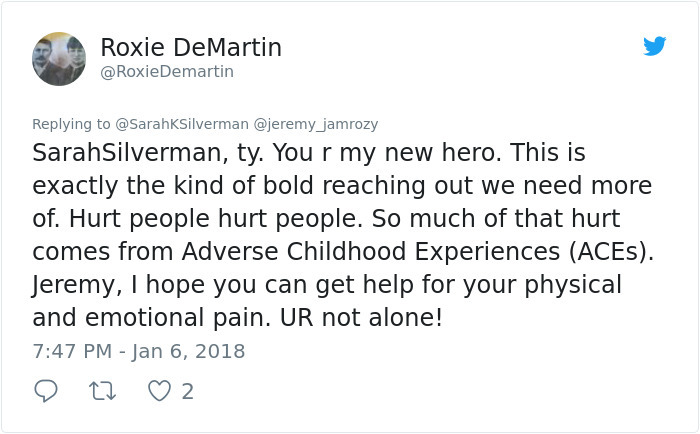 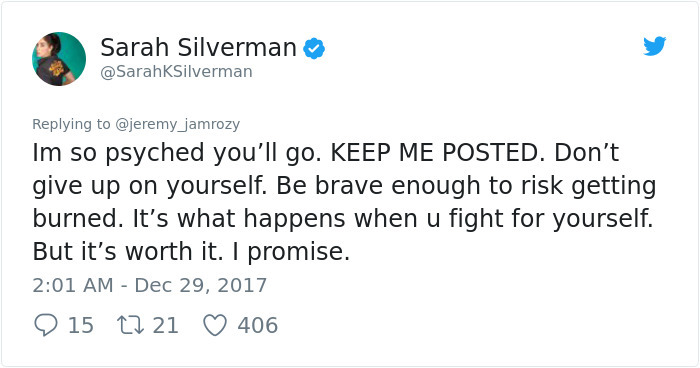 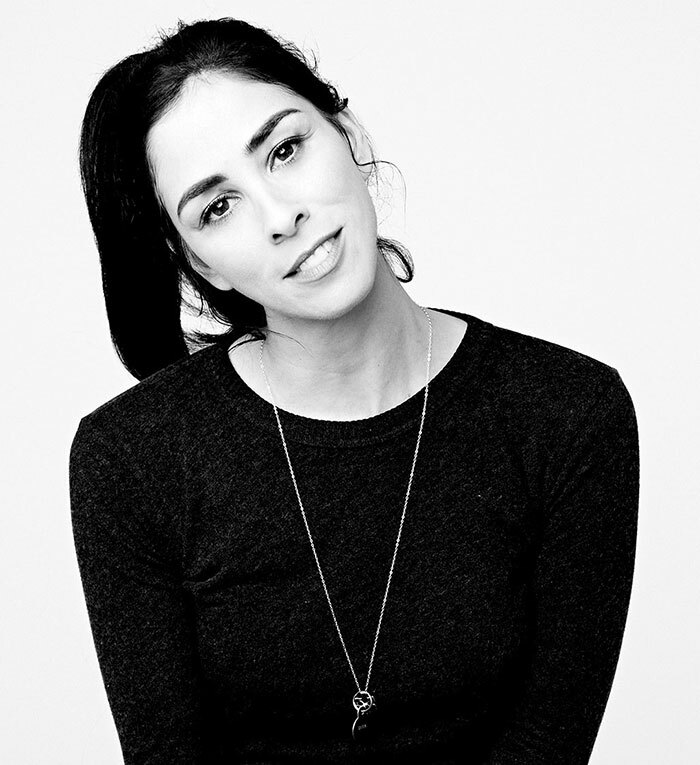 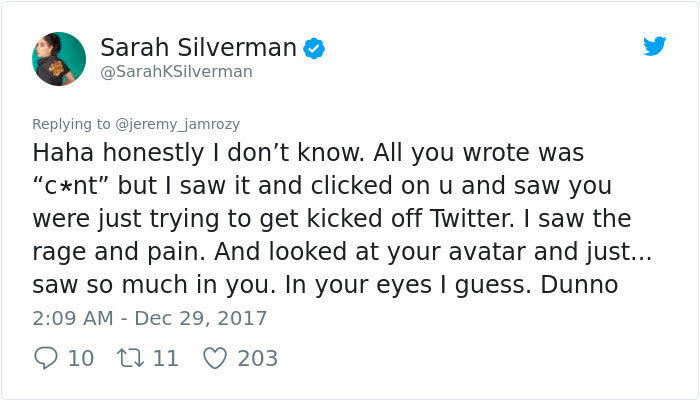 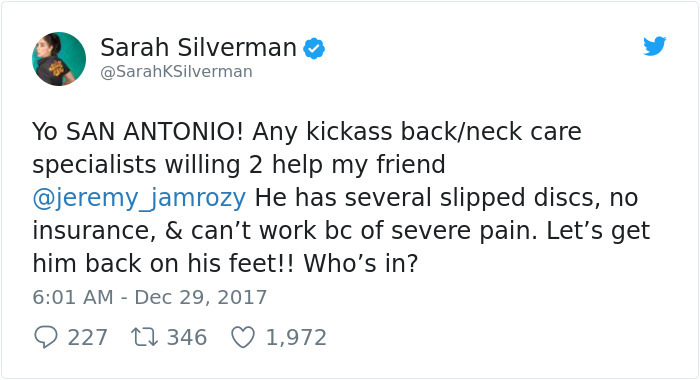 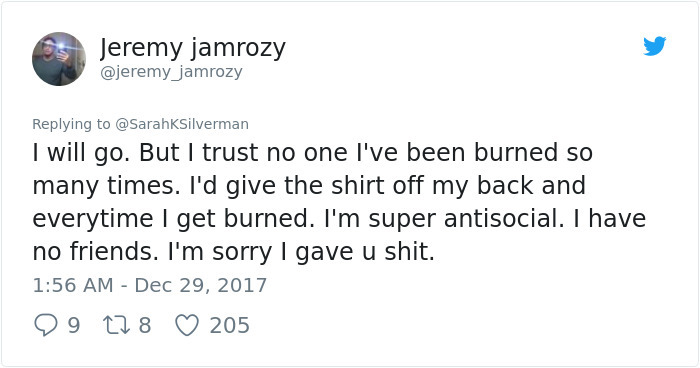 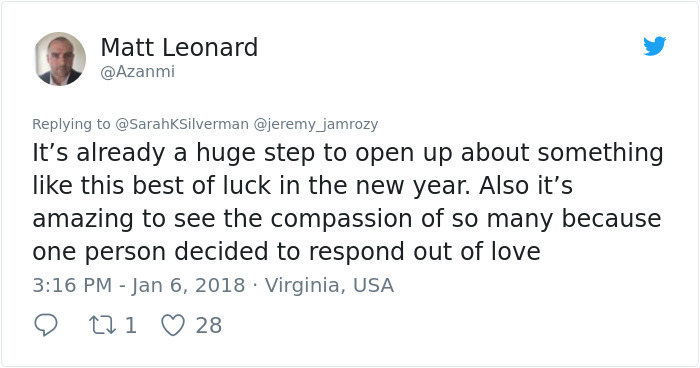 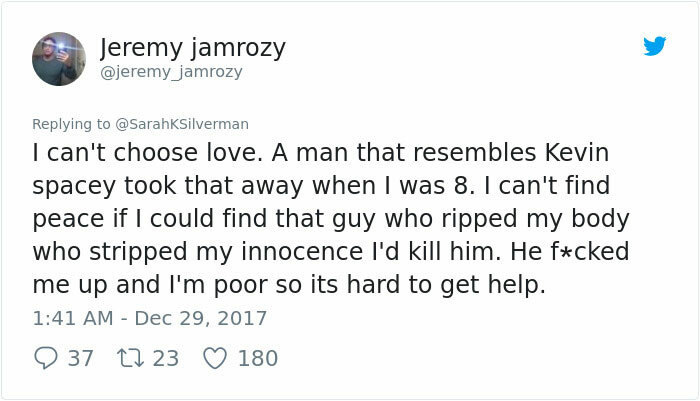 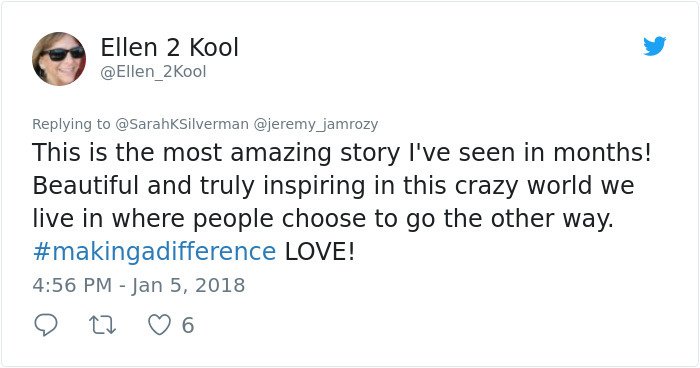 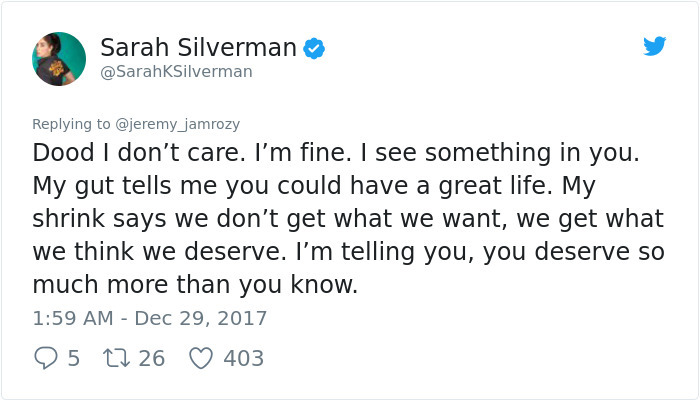 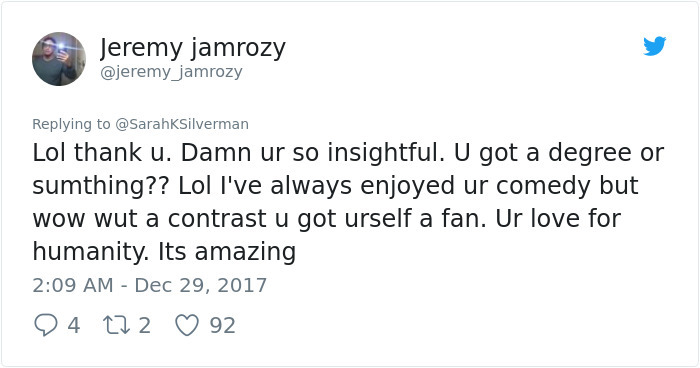 On the 28th of December, Twitter user Jeremy Jamrozy replied rudely to Silverman’s tweets, as she was reaching out to a Trump supporter in the hope of understanding where they were coming from. 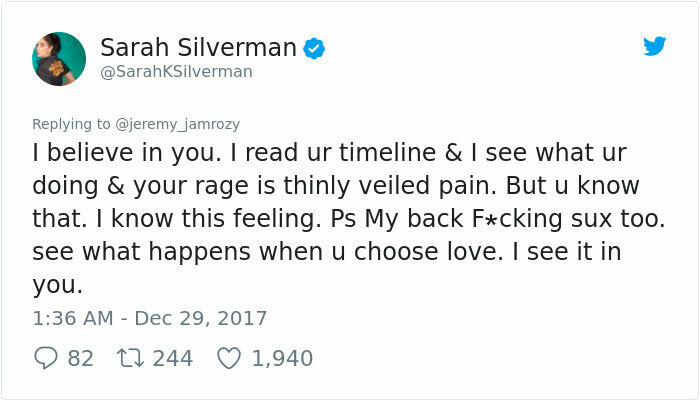 She didn’t ignore him nor did she got angry. 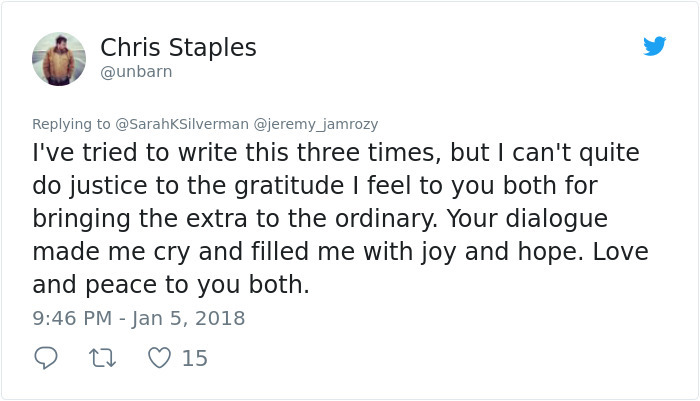 Instead, Sarah took a completely different route, finding the roots of Jeremy’s anger – his health. 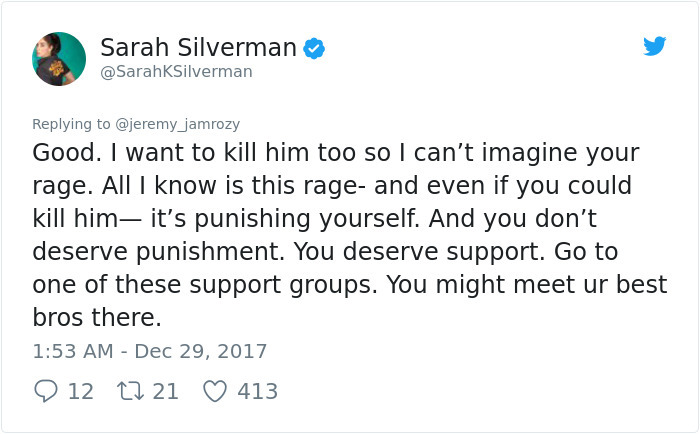 Scroll down to read the most compassionate act on Twitter, and join me by making a 2018 resolution to be as empathetic as Sarah.